Here are the blankets I made for Greyson's Gift. 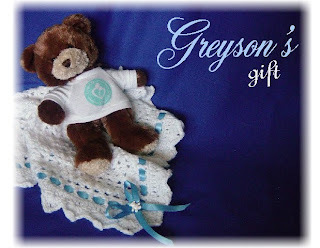 For more information, or to help out with Greyson's Gift, please click here. 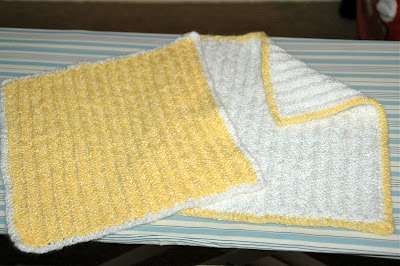 I made 2 tiny crochet blankets in white and yellow. 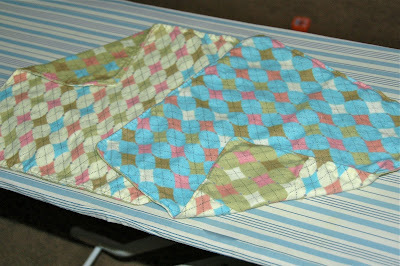 I also made 2 tiny flannel blankets in this cute argyle flannel fabric I found. These were both really easy to make with my handy-dandy sewing machine. I made one with just two coordinating fabrics, and the other a small "quilt" with a square pattern on front and a coordinating fabric backing. 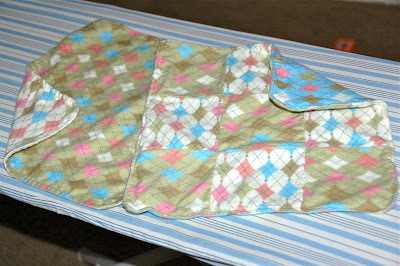 Here are the reverse sides of the flannel blankets. I am so glad I could help with this, even just a tiny bit. 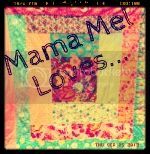 If you know how to sew or crochet blankets, please stop by the Greyson's Gift blog and help out with this project. It is such a great thing they are doing! What an awesome way to remember this little boy! Those are really beautiful, great job! If you have time, please stop by my Blog For A Cure Blog party at www.whoknewreviews.blogspot.com. It's a great way to gain followers, win some prizes and support the Leukemia and Lymphoma Society. Coach purse up for grabs today! So the Argyle one, I love it. Where did you find that fabric. Did you noticed I posted about my monkey again. lol Everyone loved it I think I got something like 31 comments. i hope it brought more traffic to your blog or etsy sight. Lisa Anne, I found the fabric at Joann's in one of those little bundles. Its obvious I have a love of all things argyle... ;) Going to check out your blog. You have a heart of gold! I wish I can crochet! It sure feels good inside when you can help.